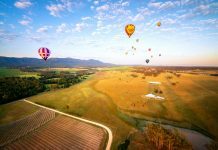 Explore New South Wales (NSW) with this 9-day road trip covering a wide range of adventures beginning from Sydney to the Central Coast, Newcastle, Port Stephens, Hunter Valley and the Blue Mountains. 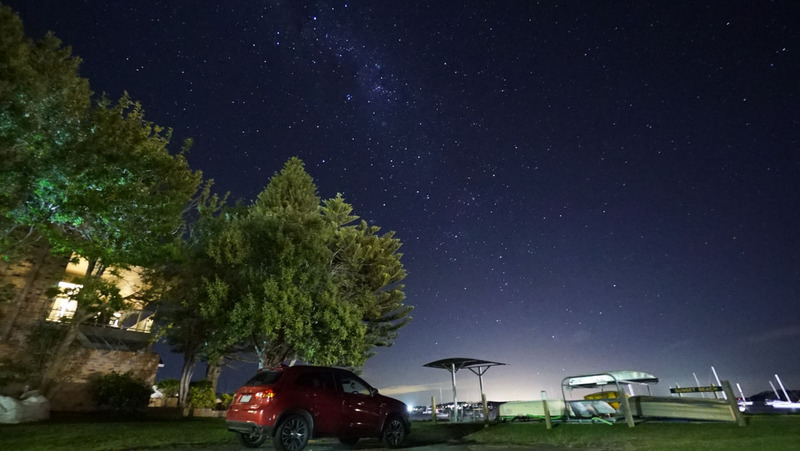 Sydney is a great base for epic road trips. 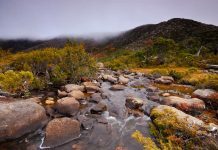 After our 7 Day South Coast Road Trip — where we drove all the way to Mount Kosciuszko (Australia’s Tallest Peak) — we wanted to see more. This time, we head up north of Sydney and the Blue Mountains to explore the best sights, thrills and nature NSW has to offer. 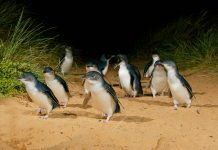 From soulful gourmet experiences, interactions with adorable animals, and some once-in-a-lifetime experiences, some of the key highlights in this itinerary include: hiking to epic viewpoints in the Blue Mountains, riding the world’s longest zip-line in Central Coast, sky-diving over the gorgeous landscape of Newcastle, whale watching in a speed boat at Port Stephens and riding a hot air balloon over the magical Hunter Valley. Airport Transfer — From Sydney Intl. Airport, we hopped on this airport transfer (S$19.25/pax) which sent us straight to the doorstep of our accommodation near Kings Cross Station. Unlike most airport transfers that serve only bigger hotels, this service will send you anywhere within Sydney’s city centre, be it to a hostel or an Airbnb home. Public Transport — You can purchase an Opal card from any convenience store or bookstore (like WHSmith at the airport). The card is free so you only need to pay for the credits to travel on NSW’s trains, buses, ferries and light rail. Staying connected — There are Vodafone and Optus booths right outside the arrival hall but Optus had better deals when we were there. Our 4G SIM cards came with 15GB data, unlimited local calls and texts for AU$20. Getting around Sydney: Travelling via public transport is perhaps the easiest and most efficient way of getting around the city. *Pro-tip: Make full use of the Opal card on Sundays when transportation fees are capped at AU$2.60. 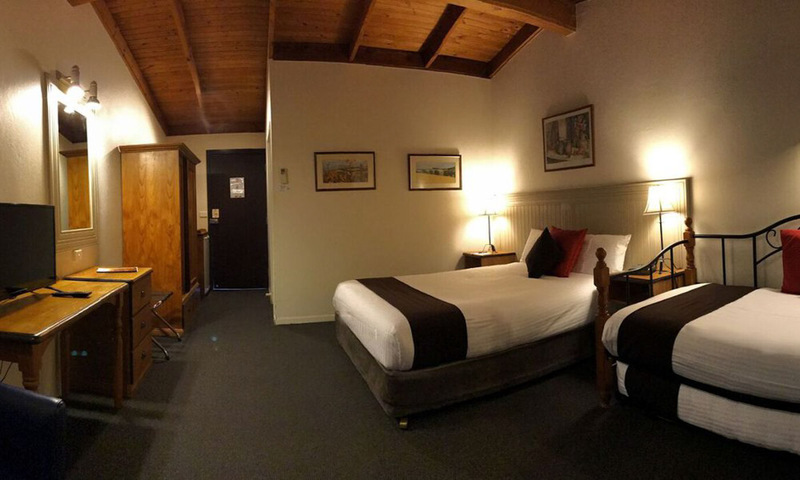 Accommodation: Stay within the city centre to save on transport. We got an Airbnb near Kings Cross station for less than AU$200/night shared amongst the three of us. Sashimi lover? 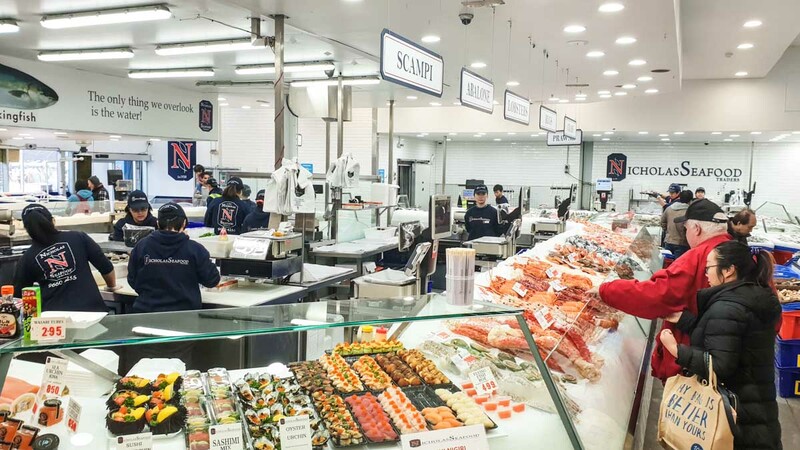 Head out to Sydney Fish Market for some of the freshest seafood you can find in Sydney. Not only is there a wide array of fresh seafood, you’ll get to find some of the most interesting fusion food too. 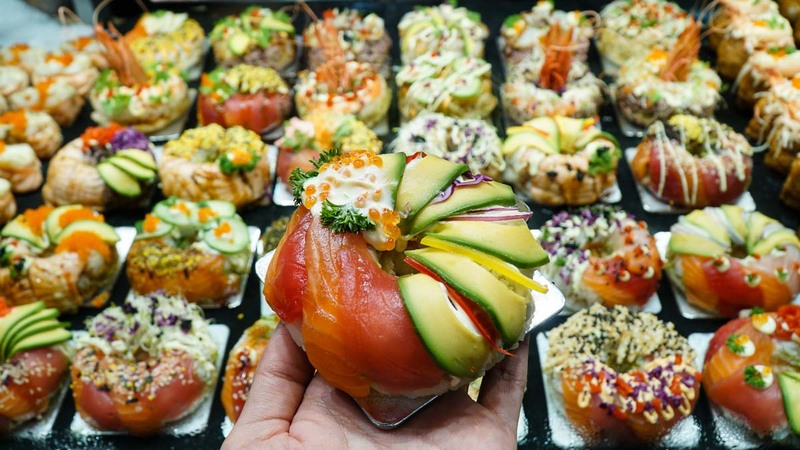 This sushi doughnut is a classic example! 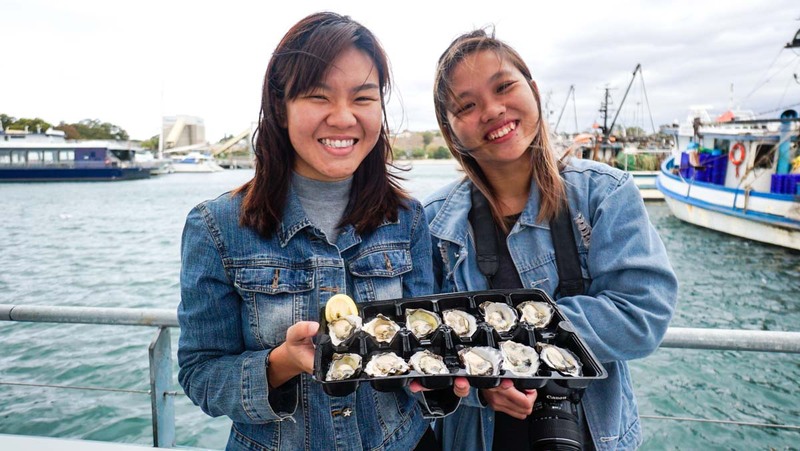 It is also at the Sydney Fish Market where you can get the freshest Sydney Rock Oyster. 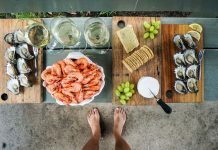 Endemic to Australia and New Zealand, the Sydney Rock Oyster is famous for its extra creamy texture, one that oyster lovers should not miss! 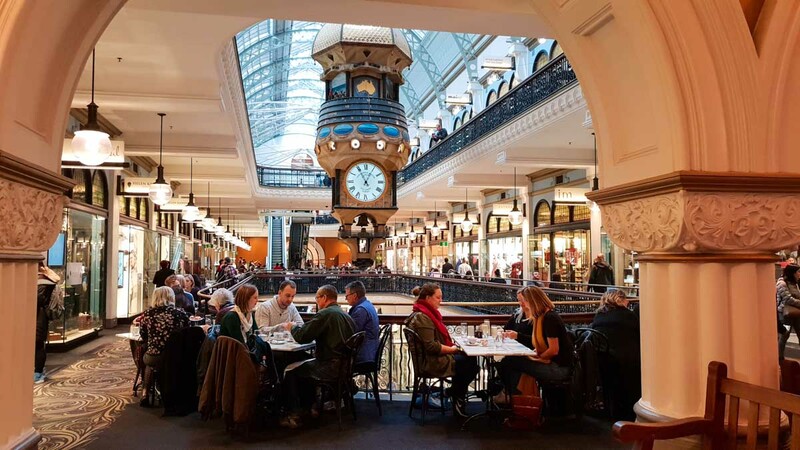 If you’re a shopaholic, you shouldn’t miss the Queen Victoria Building (QVB) located in the heart of Sydney. This 19th-century building has been conserved and restored into a mega marketplace. 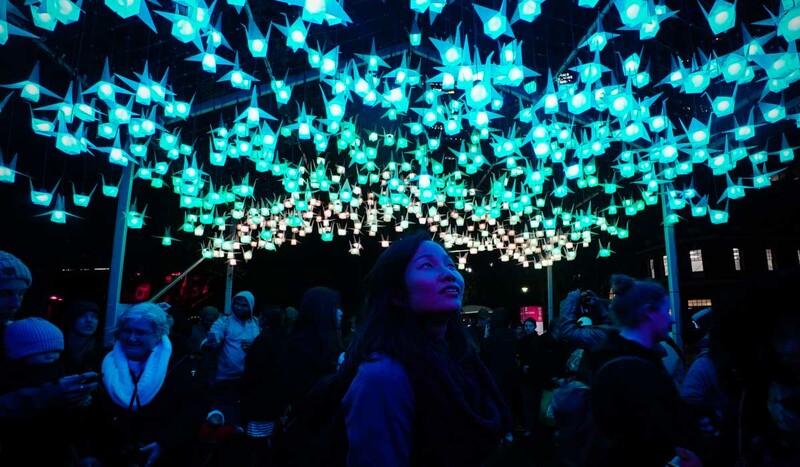 Our trip coincided with Vivid Sydney (held between 25 May – 16 Jun 2018), and we were lucky enough to catch most of the art installations put up for the annual winter event. 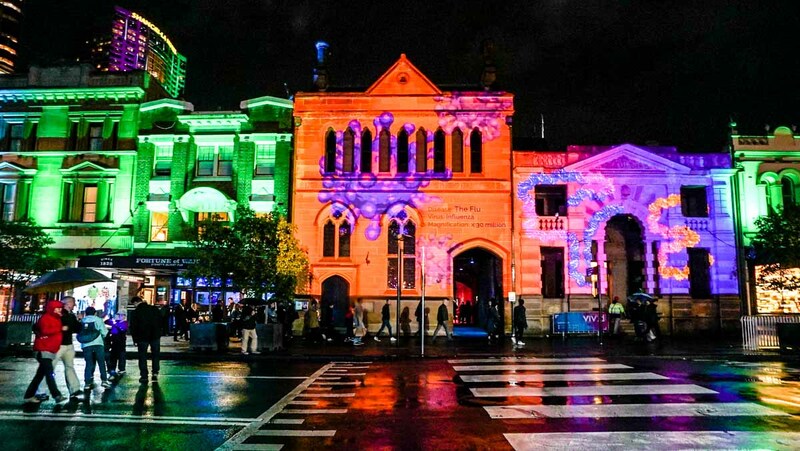 The lights and music displays of Vivid Sydney start upon sunset and go up full-force at 6PM. The colours and energy definitely warmed us up in the chilly winter night. Vivid Sydney is an annual festival of light, music, and ideas that started in 2009 as an energy-efficient light painting projected on both sides of the Opera House. 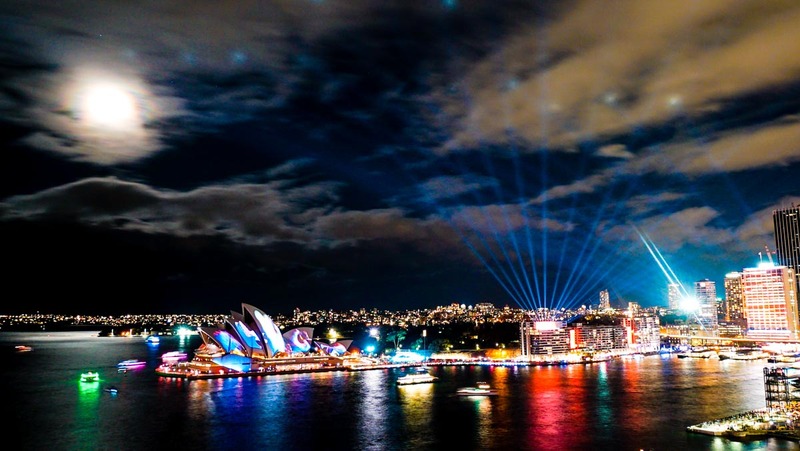 Today, the Sydney Opera House holds contemporary music performances during Vivid Sydney — Known as Vivid Live — featuring local and international artists. 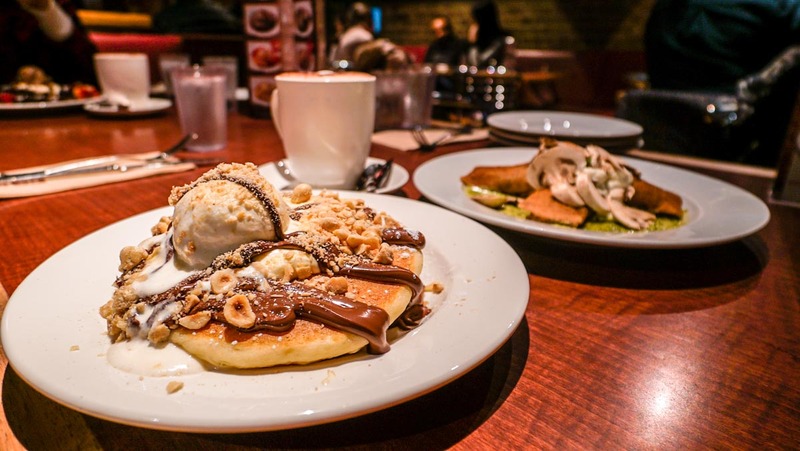 One of the most highly-rated eateries in Sydney, we knew we had to give Pancakes On The Rocks a try. We took the savoury Fresh Mushroom Crepe (AU$14.95) and sweet Nutella Pancake (AU$15.95), both generously packed with ingredients so dense that they were enough to share among us three. If you’ve been to Australia, you’ll realise how seriously the locals take their farmers’ markets. 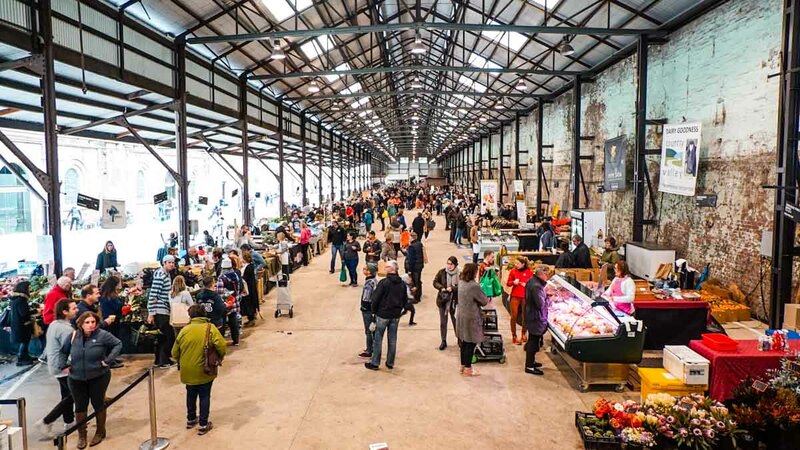 The Carriageworks Farmers’ Market may not be super famous, but it’s definitely well-loved by its locals! Here you’ll find homemade cheese, freshly-baked bread, coffee, granola and even kombucha for sale. There are also dining areas both inside and outside — where the old railways are — if you decide to have a meal there. We had a truffle steak burger, bibimbap, and pho, all of which were delicious! Opened in 1916, Taronga Zoo remains one of the most highly-visited zoos in Australia. 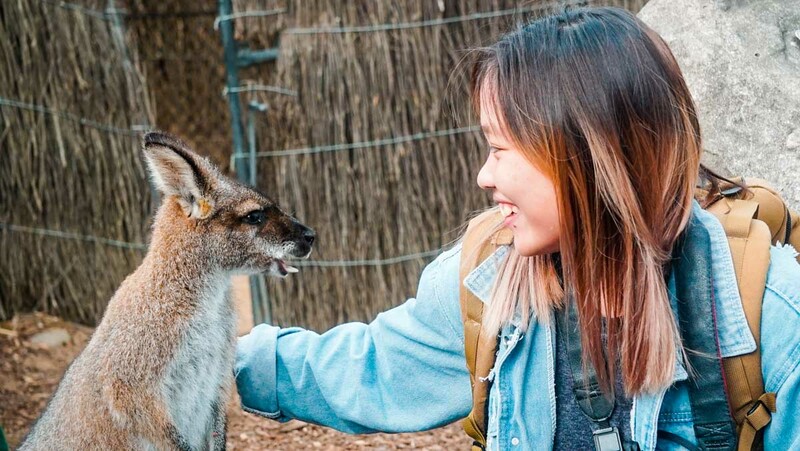 Its proximity to the city centre makes it a great place for visitors who have little time in Sydney to see some of Australia’s wildlife. We recommend going on a 2-hour zoo tour with cable car ride for a more in-depth experience at the zoo. Our guide Rob, an experienced keeper, walked with us while sharing fun facts about the residents. 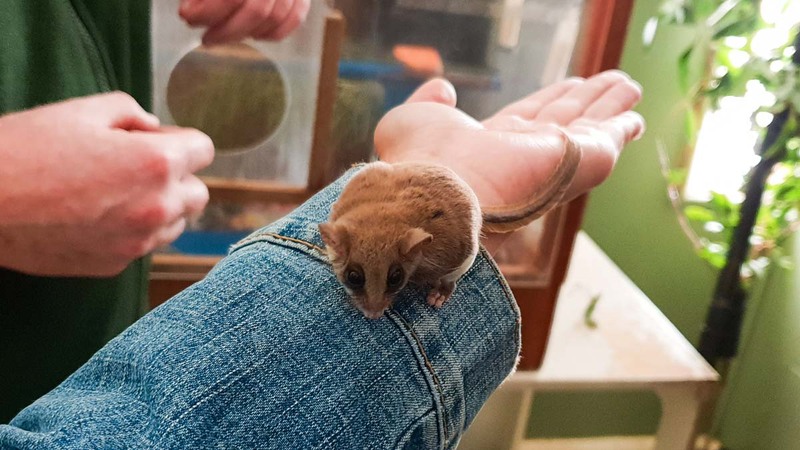 Other than the kangaroos, koalas, platypuses, and echidnas, we even got to get up close with a wallaby and feathertail glider! 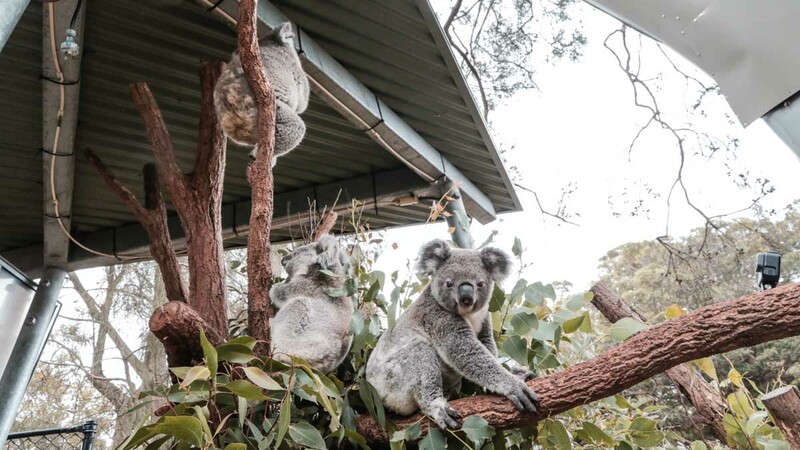 Something interesting to note is that within the state of NSW, there’s a hands-off policy that makes it illegal to touch koalas within the zoo compounds. Doesn’t make the flurry tree-dwellers any less cute though! 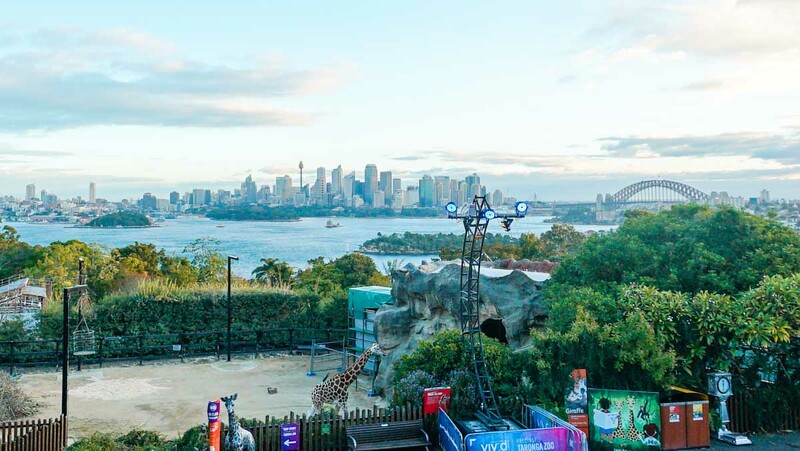 It’s difficult to imagine how a zoo can be this close to the cityscape, but Sydney’s skyline stunningly works as the perfect backdrop to the giraffe’s enclosure. At 309m, the Sydney Tower Eye is the tallest structure in Sydney. 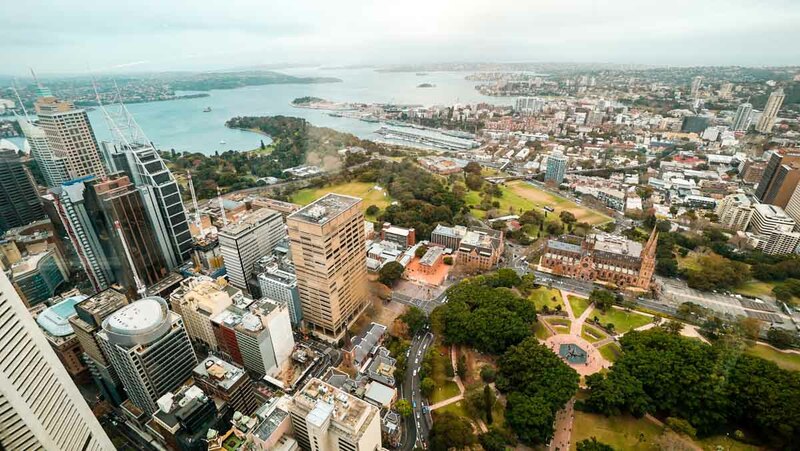 While there’s an observation deck you can pay to access, we took the opportunity to have lunch at its revolving restaurant instead — you can feast on food and feast your eyes on the views of Sydney’s CBD, the Sydney Harbour area, and even the St. Mary’s Cathedral. Lunch was a buffet spread of more than 50 dishes across a range of cuisines including Australian, Italian, and Japanese. From salad, seafood, and hot dishes to cold desserts, you’ll be spoilt for choice. 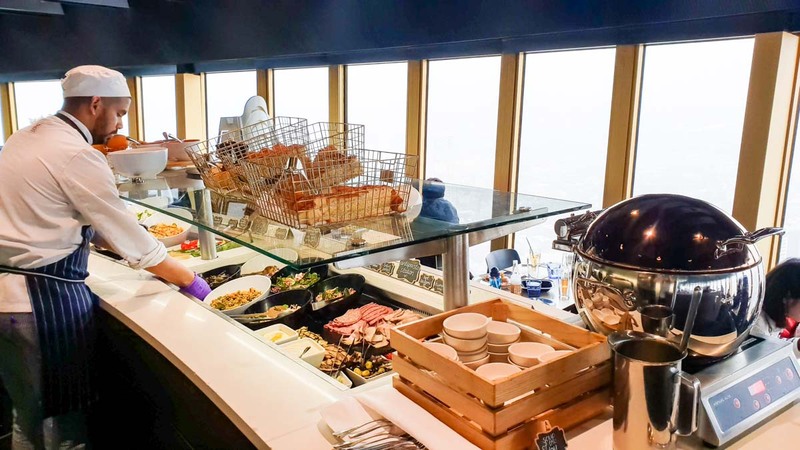 Note that you’ll need to pre-book your table for the Sydney Tower Buffet, especially on weekends. Cost: S$57 – 85 depending on lunch/dinner and weekdays/weekends. Opening Hours: 11:30AM – 3:30PM (Daily Lunch), 5PM – 10:30PM (Daily Dinner). Dining time of 1.5 hrs. 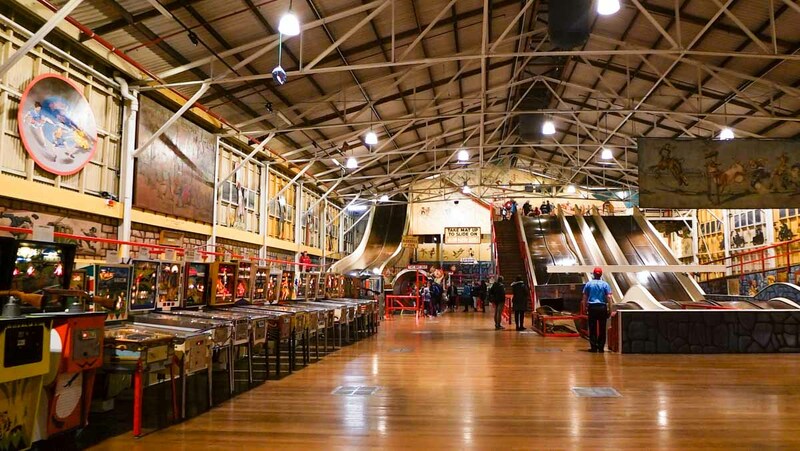 This old-school amusement park has been a source of entertainment since 1935 and still is a great place to hit for fun and screams. 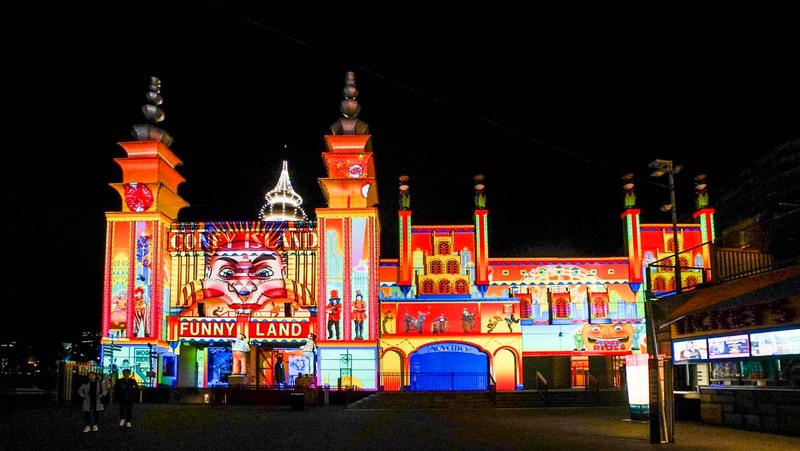 Unlike the bigger names like Six Flags, Universal Studios, or Disneyland, the 16 rides Luna Park Sydney operate are less sophisticated but do not pale in comparison when it comes to eliciting a scream or laugh from riders. Cost: Entrance is free and you can pay AU$10 per ride, or AU$35 for the Twilight Saver Pass for unlimited rides after 6PM. This is the day we picked up our rental car from Hertz to begin our road trip. 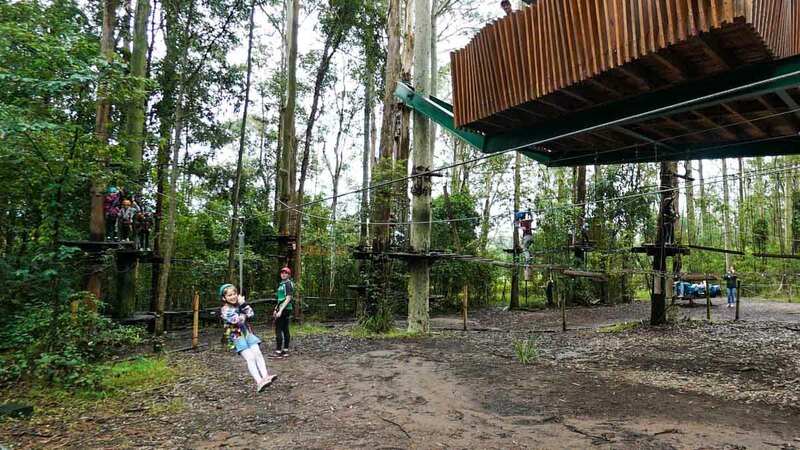 First stop, we arrive at Tree Tops Central Coast, a 90-minute drive from Sydney. At Treetops, there’s an array of exciting challenges like zip-lining, trapezes, Tarzan swings, and tightropes! We heard about the “world’s longest roller coaster zip-line” and definitely couldn’t give that a miss! Treetops’ TreeTop Crazy Rider has two zip-lines — Pioneer and Xtreme. Pioneer is a shorter line at 330m that features a 360° loop and a drop, which is always fun. The Xtreme is a longer (the world’s longest!) ride at 1km long, has four 360° loops, and a bigger 540° loop with 2 drops. Now, imagine zipping through the forest on the world’s longest roller coaster zip-line — wild! There are also GoPro cameras for hire from AU$25 for you to record your rides. 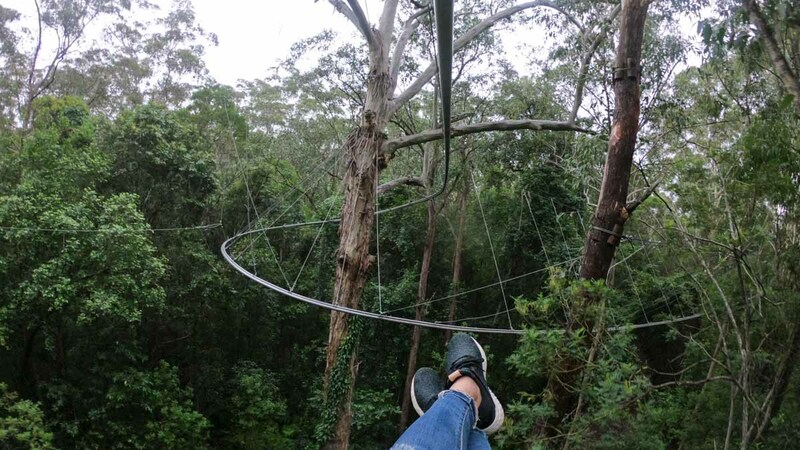 You can bring your own GoPro as long as it fits into the standard mount Treetops provides. 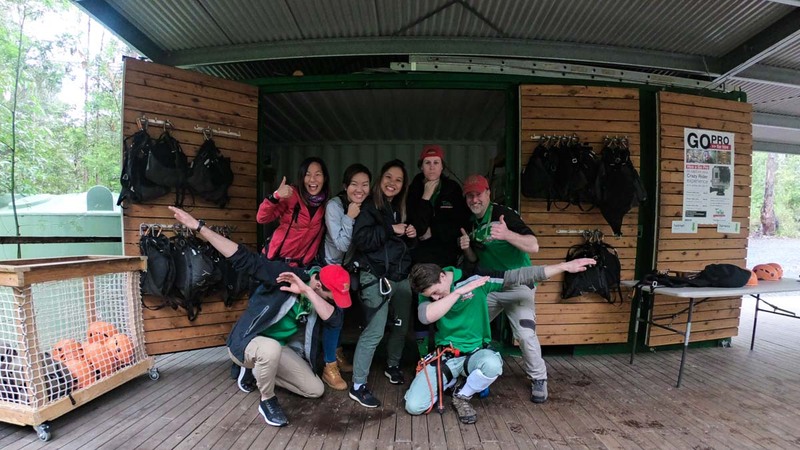 At Glenworth Valley Outdoor Adventures, there are various outdoor activities one could engage in, such as horse-riding, quad biking, kayaking, and camping. 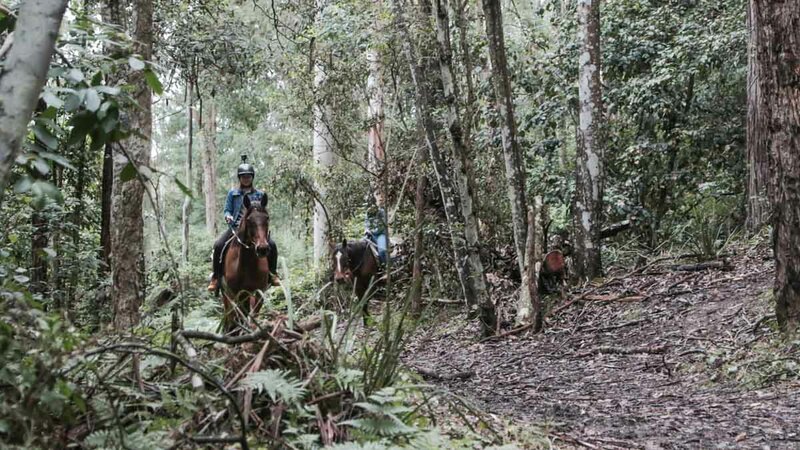 We tried horse-riding around the valley through different terrains such as bushlands, forests, and creeks. Every evening at 4:30PM, the handlers will release the horses for their evening walk where they roam freely around the forests of Glenworth Valley. 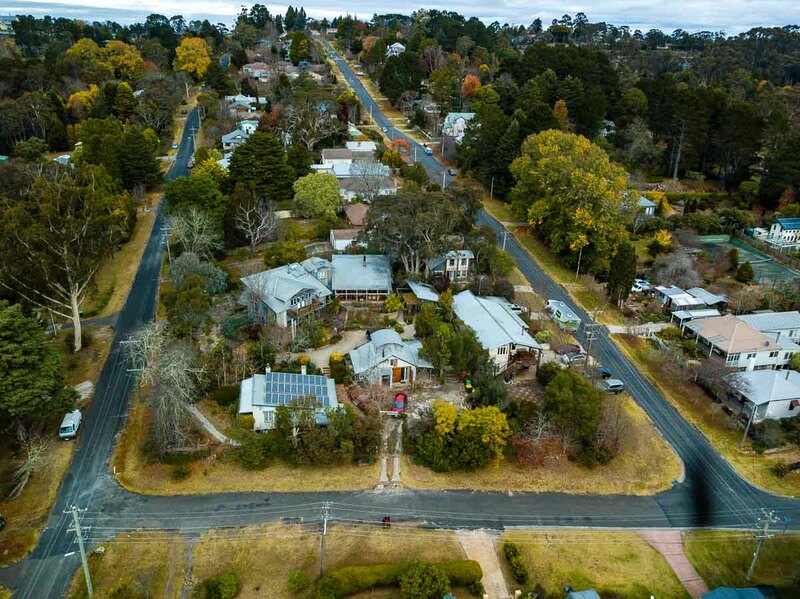 The sight is the most spectacular on Saturday evenings, as all 220 horses of Glenworth Valley will be mustered out of the horse-riding yards. Located at The Entrance, right next to the sea, we spent a night at the Oaks Waterfront Resort in Central Coast. 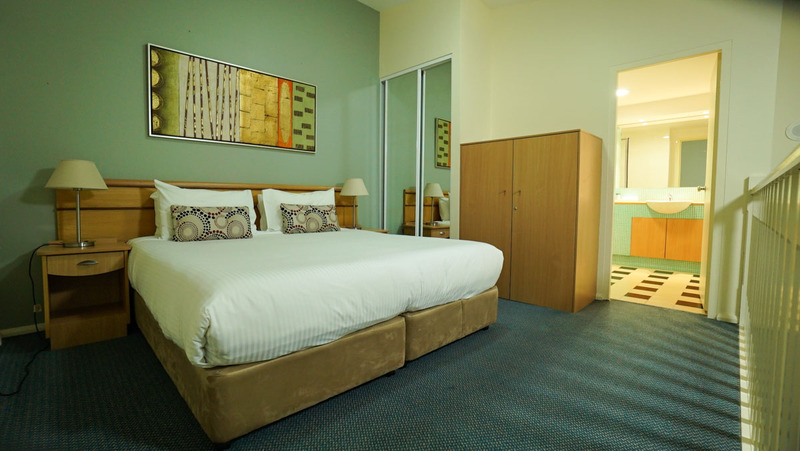 Location aside, rooms are affordable and come with a range of facilities including a gym and an outdoor swimming pool. Our 2-bedroom loft with 2 bathrooms, a mini kitchen for light cooking, a washer, and dryer would fit up to 5 adults comfortably and only cost ~S$208/night! 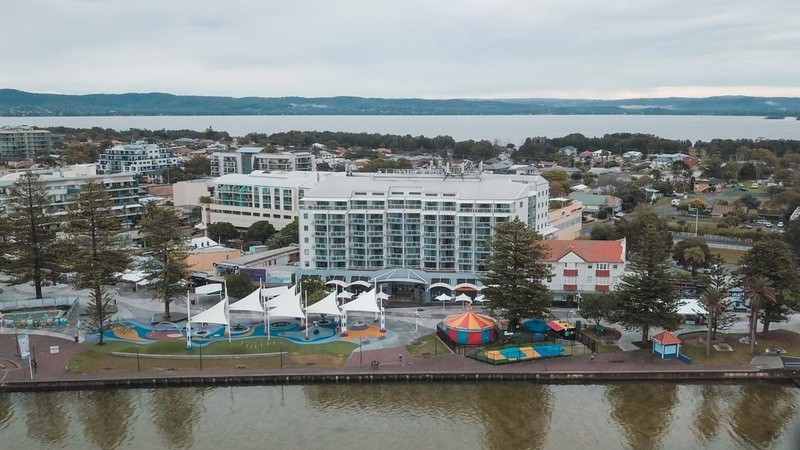 If you’re around on a Saturday, check out The Entrance Weekend Market conveniently in front of Oaks Waterfront Resort. 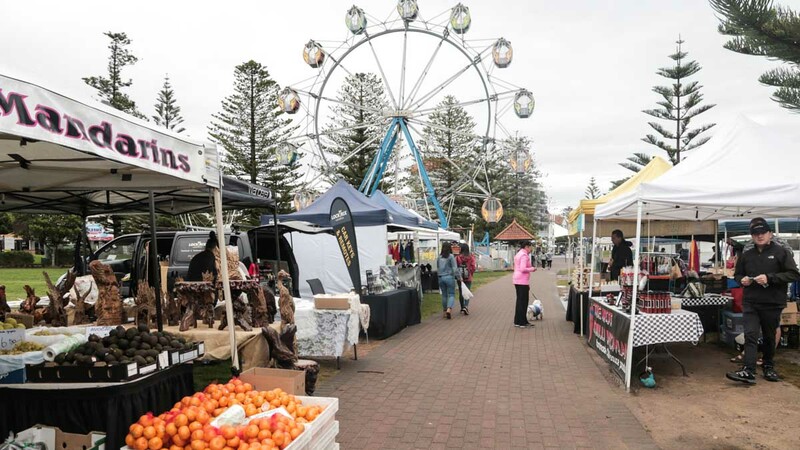 Most of the stall owners are locals from around NSW, and you can find things like handicrafts, farm produce, and food stalls. We got ourselves a hearty bowl of Phở and some home-made raw honey as souvenirs. 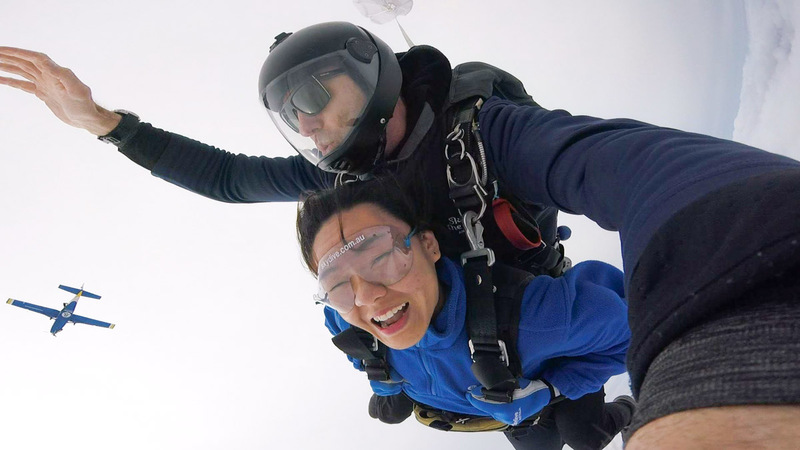 We hope you didn’t have too heavy a breakfast because next up on the agenda is skydiving! While Australia has several skydiving locations, we hear that Newcastle (30-minute drive from Oaks Waterfront) is the one with the best views. If I were to jump out of a perfectly fine plane, it’d better be worth every nerve it took me to overcome my fear of heights. And I’m glad I took the leap at Skydive Newcastle. 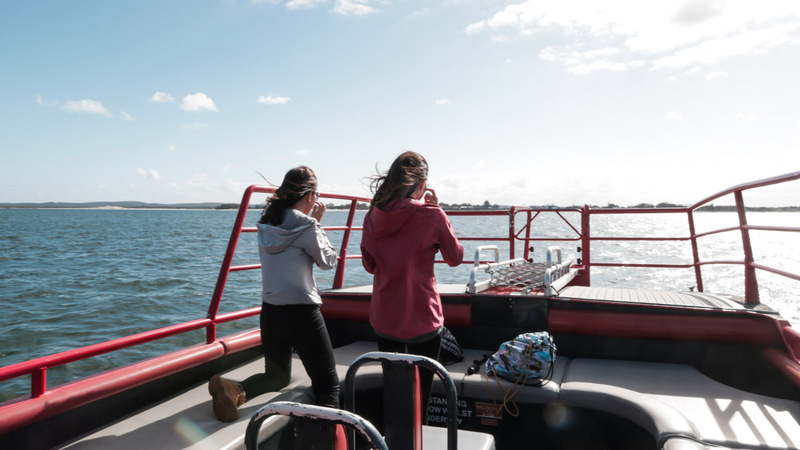 After an hour’s drive, we arrive in Port Stephens, a permanent home to about 90 bottlenose dolphins. This means you can spot them just about any time of the year! If you’re visiting during the autumn – spring months, you’ll even get to see the migrating humpback whales. We went on a whale-sighting ride with Imagine Cruises which brought us out on an exciting high-speed boat. Not only did we get to see a pod of dolphins that swam pretty close to us, we saw a humpback whale within 10metres from our speedboat too! 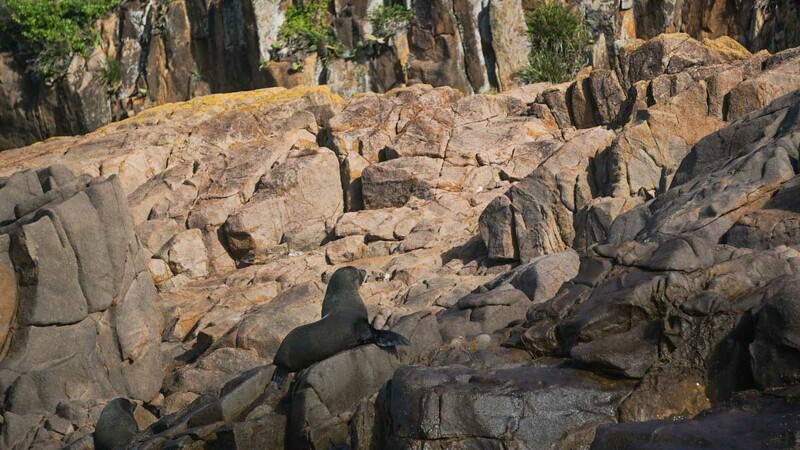 We also got to see some fur seals at the Cabbage Rocks, which is another pleasant surprise as they’re said to only be around during the whale-sighting season. For the night in Port Stephens, we stayed at this gem of an Airbnb in Soldiers Point for less than S$200/night! Not only was it very near the sea, it was also located in a quieter area void of light pollution. When the night fell, we caught a dazzling sky of stars above us. 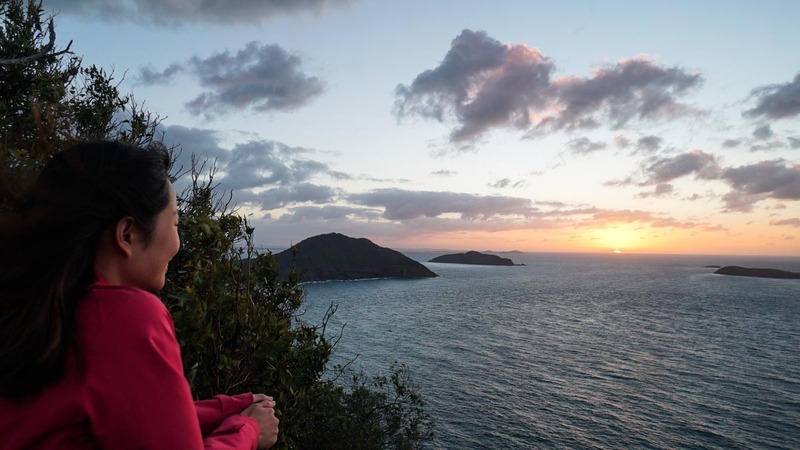 The next morning, we started our day early with a short hike up Tomaree Head Summit to catch the sunrise. What caught us by surprise was a few whale sightings! 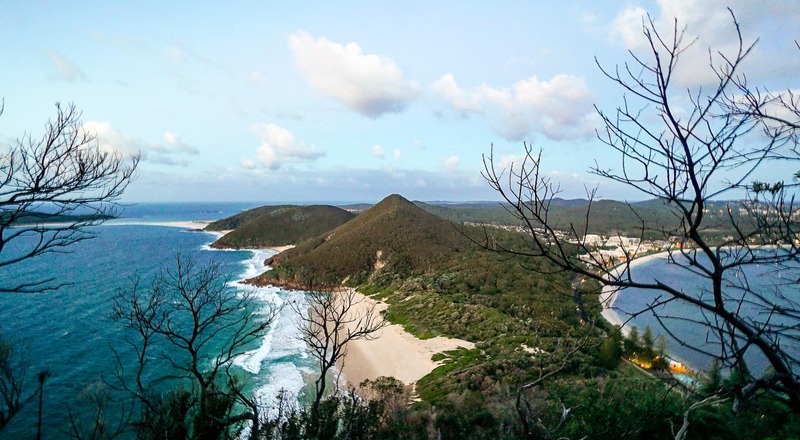 The walk up only takes about 20 minutes which is a great trade-off for the stunning views of Shoal Bay. 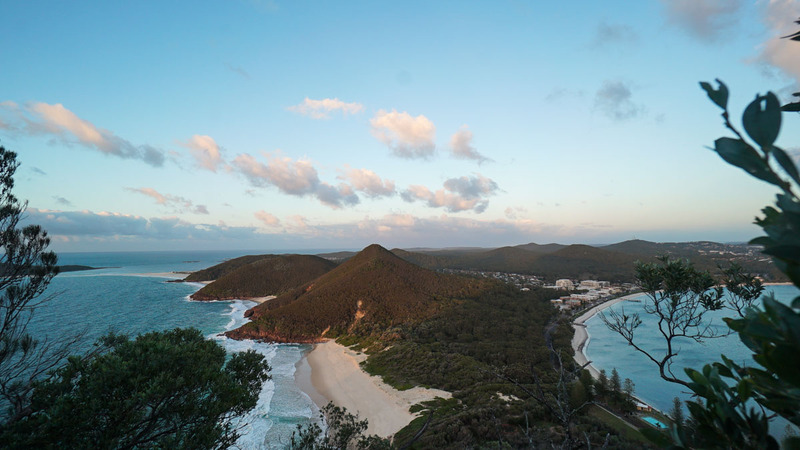 *Pro-tip: Boat Harbour is another area at Port Stephens where you’ll get many sightings of Humpback and Southern Right Whales during migration season between mid-May to mid-November! 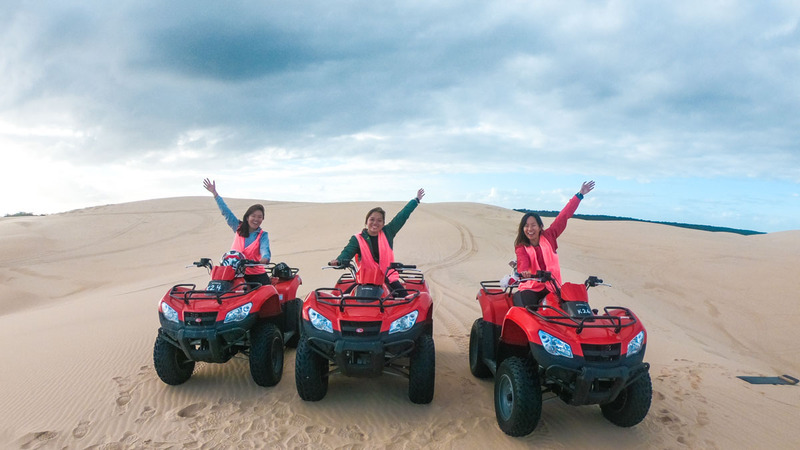 No trip to Port Stephens is complete without checking out the largest moving dunes in the Southern Hemisphere — The Stockton Sand Dunes. And what better way to explore than on quad bikes! 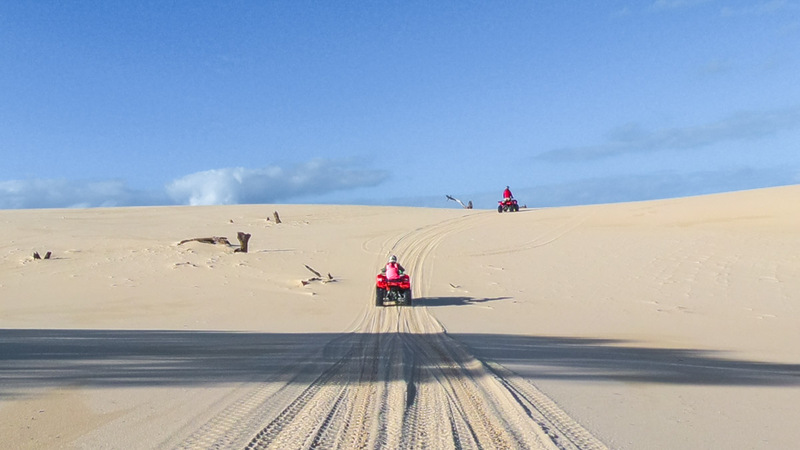 We signed ourselves up for a 1.5-hour session with Sand Dune Adventures. The huge area of sand is formed due to years of wind blowing the beach inwards, and the sand shifts by 4 metres inwards every year. The vast beach with sand dunes go on forever, and for the unsuspecting, it truly looks like we’re within a desert. Before the sun sets, we drove an hour to the Hunter Valley Resort where we spent 2 nights. 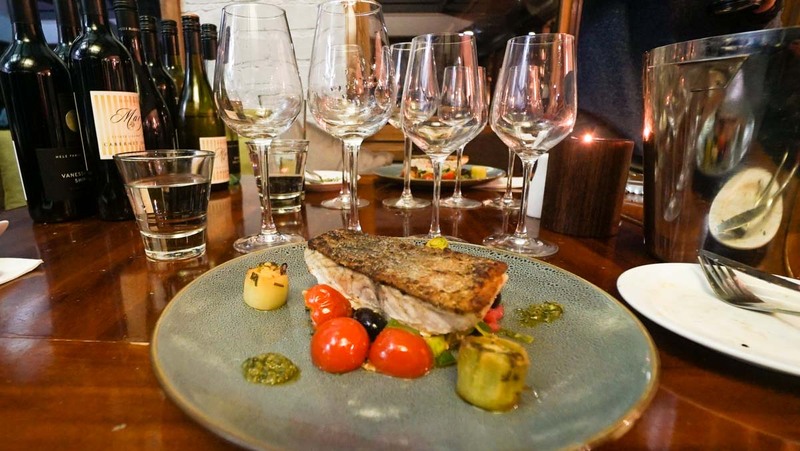 Other than being an accommodation, this family-run business offers a range of activities within their 70 acres of 50-year-old Shiraz vineyards. The Hunter Room sleeps up to four people. There’s a glass door that opens to the lawn, and if you’re lucky, you’ll get to see animals passing by such as parrots and wallabies! 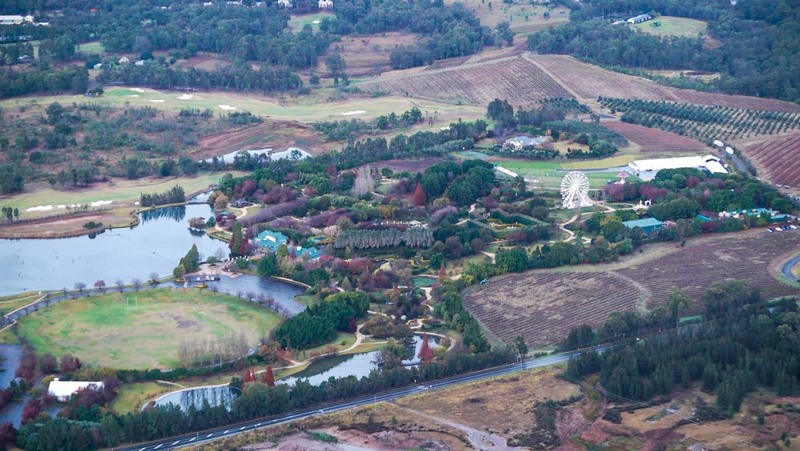 The Hunter Valley Resort has a space of 70 acres with rows of Shiraz vineyards and other interesting features. 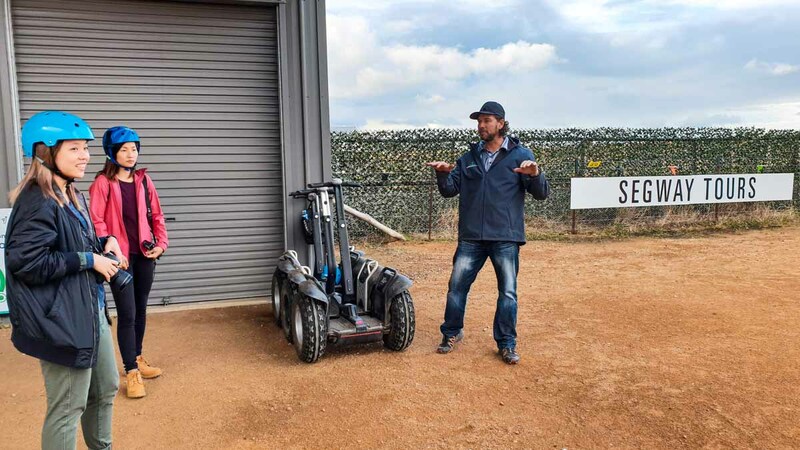 One of the best ways to explore is on an hour-long Segway Tour (which was honestly a lot more fun than we had expected). Guided by an instructor, we rolled through plains, forested areas, and vineyards; we even spotted wild kangaroos too! After the adventurous experience on the Segway, we proceeded to the wine and cheese factories to see how the local wines and cheese are produced. The quality wines here are actually really affordable and we each ended up buying a few back home. We personally recommend the Silver Moscato and Hele Family Vanessa Vale Shiraz. One of the perks of living in a vineyard resort is that everything is walking distance from the accommodation. 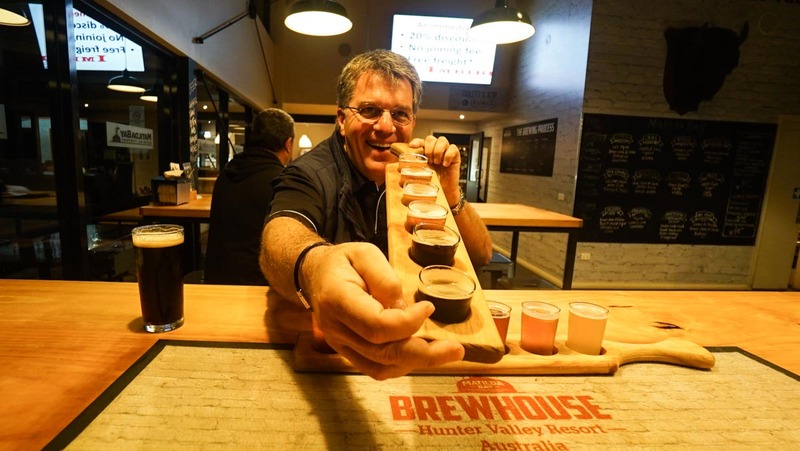 We had our dinner at Matilda Bay Brewhouse and had the opportunity to have a meal with Phil Hele, the owner of Hunter Valley Resort. After a fun beer pairing lesson taught by Mr. Hele, we moved on to wines and finally understood how different food choices could affect the taste of wine we were having. “Life is too short for bad wine”, quips Mr. Hele, and we agreed wholeheartedly. 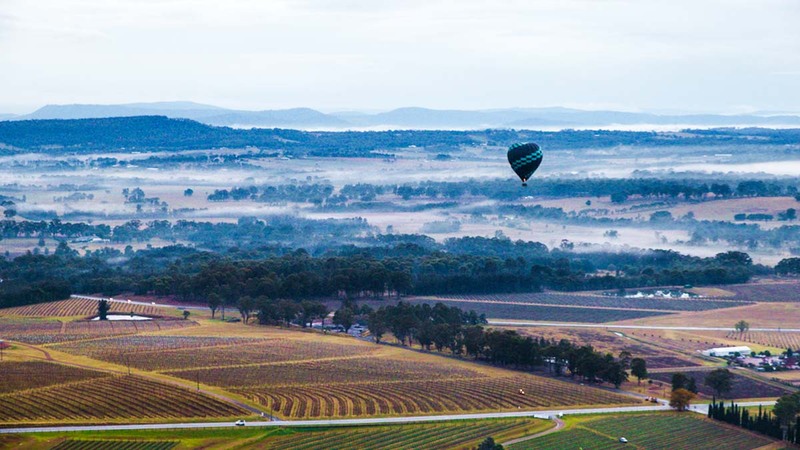 There’s probably no better way to see the vast vineyards than from a hot air balloon. 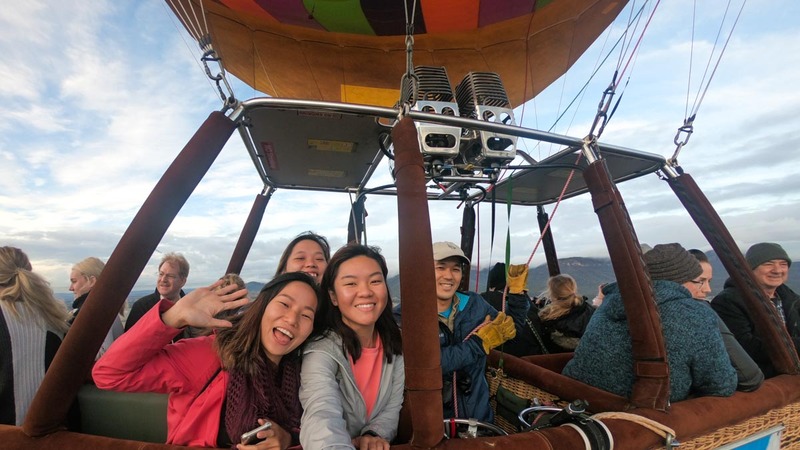 Our sunrise flight booked with Balloon Aloft may just have been one of the most memorable experiences on the trip. After meeting the team at 5:30AM, the balloon pilot and his team will drive participants to the lawn side where they’ll set up the balloon. Before that, they did a weather test with a lit helium balloon to check the wind direction. Before anyone gets into the balloon’s basket, participants will be asked to help tip the basket. It takes about 20 minutes for the balloon to be inflated and upright ready for boarding. 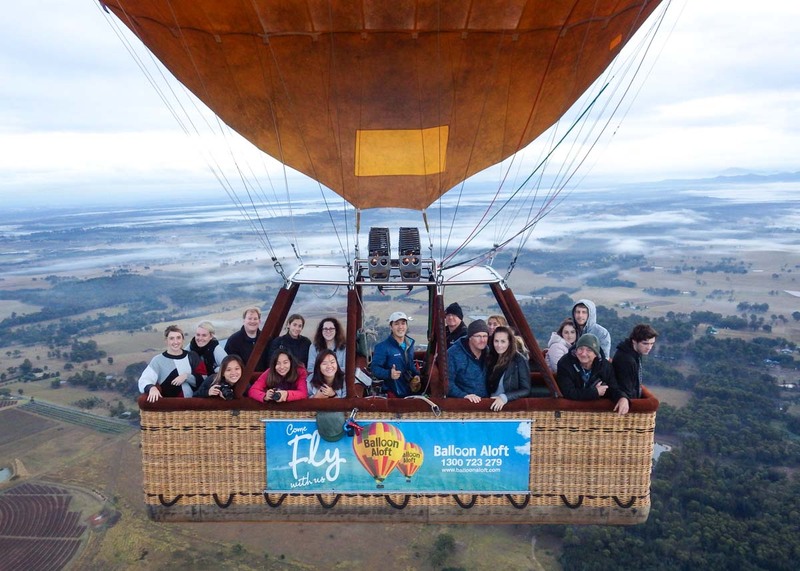 During the hour-long flight, we floated around Hunter Valley and saw some great views of vineyards, residences, mountains, lakes, and even wildlife! Fun fact! It’s impossible for balloon pilots to control the direction of flight as the balloon moves along with the wind’s direction. The pilots can, however, climb or descend into winds of different directions. After the flight, participants will be driven back from the lawn to Peterson House for breakfast. 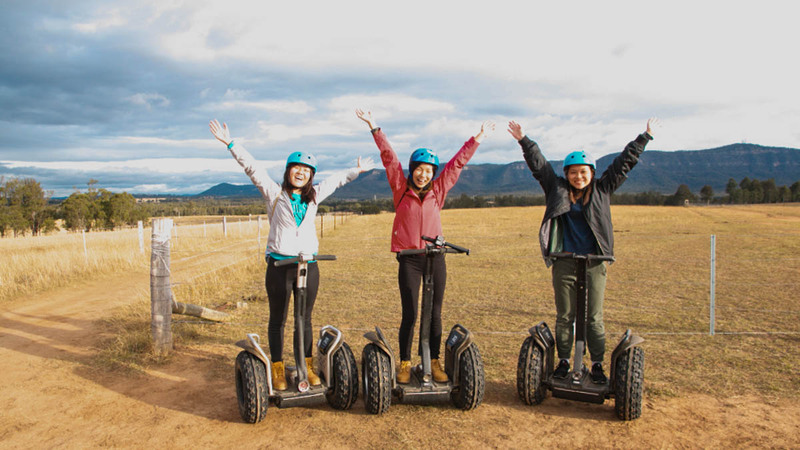 We had a taste of horse-riding at Hunter Valley around our resort. 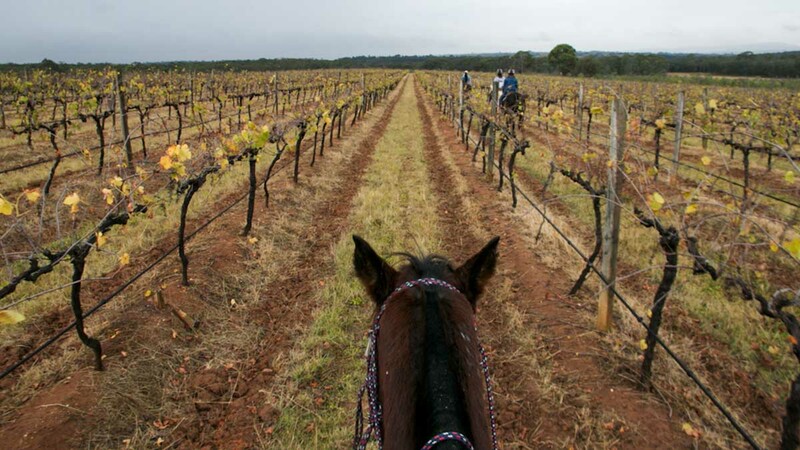 An experienced guide led us along bush trails and vineyards, while the horses trotted gracefully through the bushlands. We were taught some basic horse-steering and controlling techniques, and that’s all we needed. 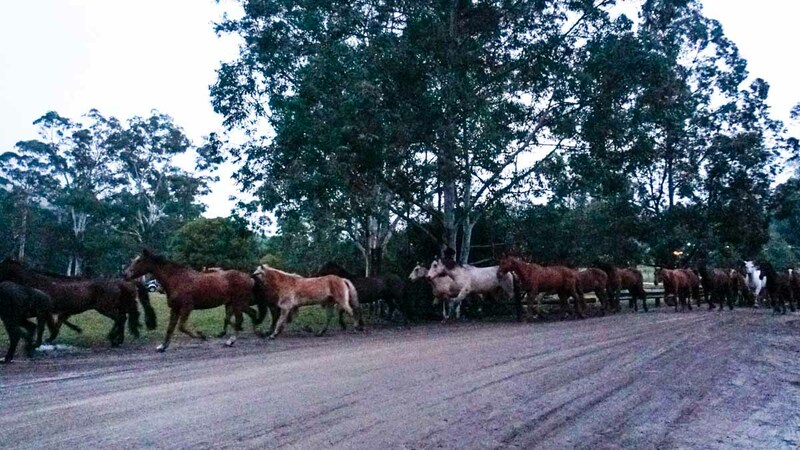 The horses are tame and well cared for, so they tend to just follow their usual paths. We’d recommend wearing boots and a jacket as the horses will walk through muddy grounds and near trees. Booking is required for the horse-riding activity. More details can be found on the Hunter Valley Horse Riding website. 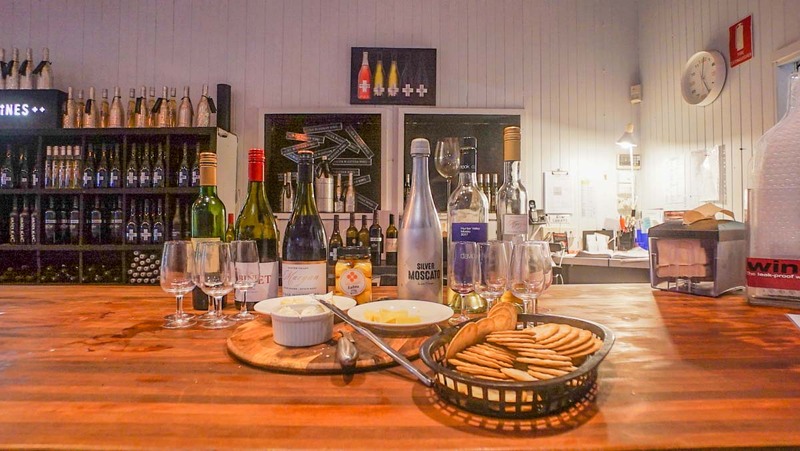 From Hunter Valley, get ready for a 3-hour drive to the Blue Mountains. We checked into Old Leura Dairy — an old dairy plant converted into cosy homes for travellers visiting the Blue Mountains. 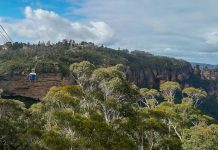 Check out our full 3D2N Blue Mountains Itinerary. The Blue Mountains National Park is a UNESCO World Heritage site, a 90-minute drive from Sydney. 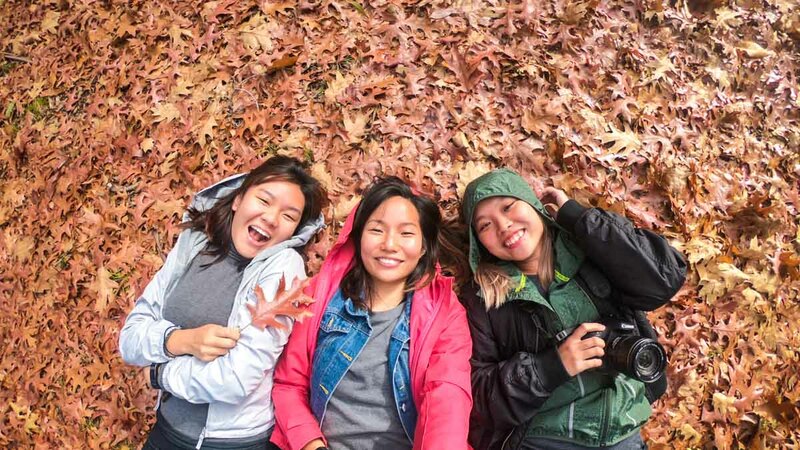 Other than being home to the unique Three Sisters rock formation, there’s also a bunch of hikes, caves and viewpoints to discover. 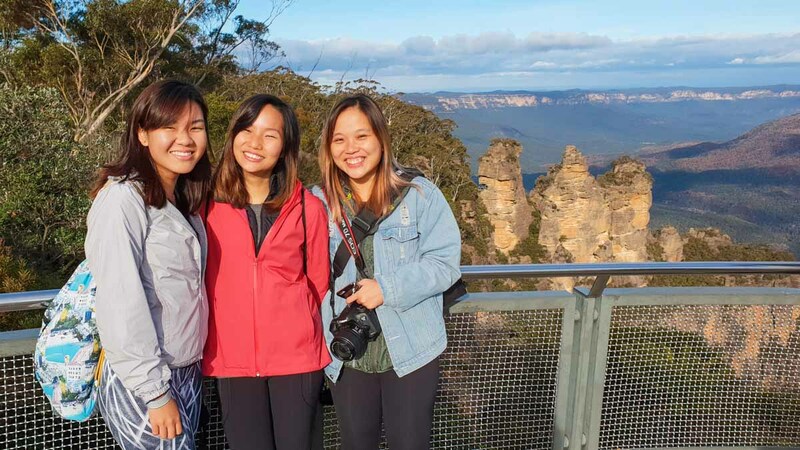 For more details of our time in the Blue Mountains, check out our 3D2N Blue Mountains Itinerary. One of our favourite hikes was the Grand Canyon Walking Track, perfect for an off-the-grid morning walk. 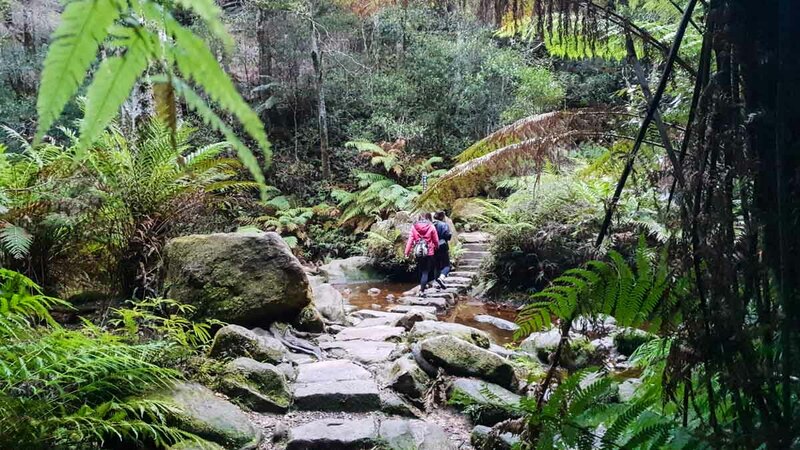 The 6.3km through dense vegetation, waterfalls, and creeks is a relatively easy walk and you’ll get to be within nature for a good 2 – 3 hours. 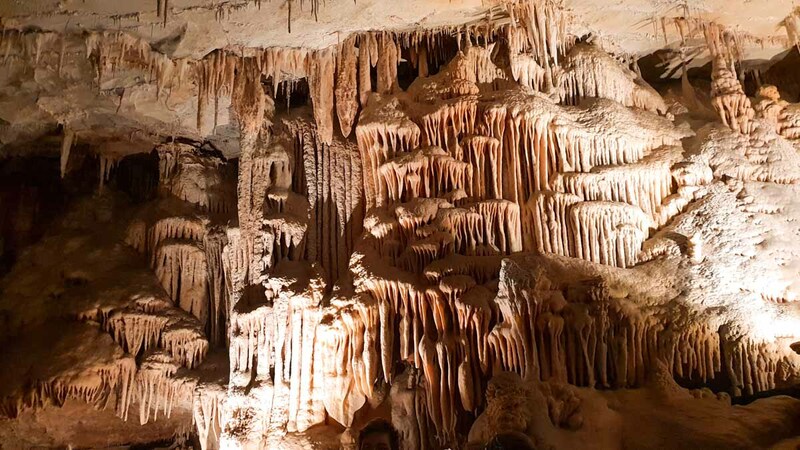 Another attraction we highly recommend visiting is Jenolan Caves, a collective of expansive limestone caves within the Jenolan Karst Conservation Reserve. While there are 11 caves that welcome visitors, we chose the Lucas Cave (AU$42), the most famous of the cave systems. Within lies a great chamber — the “Cathedral Chamber” so famous for its acoustics that underground concerts take place in it. The Blue Mountains region definitely offered more than we could visit during the 3D2N we were there. 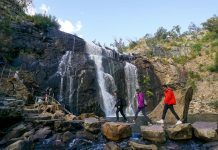 The beautiful natural landscapes of mountains, valleys, bushlands, and majestic caves gave us a sneak peek of what New South Wales embodies. Thereafter, we started our 90-minute drive back to Sydney. This post was brought to you by Destination New South Wales (DNSW). Hi! What a fun-packed 9 days’ trip you had! Do you mind sharing the total cost you spent for this trip? Thanks!